Today, companies are feeling the pressure to compete like never before. In this aggressive and dynamic business climate, the advantage goes to companies that can respond to the rapidly changing demands of their customers, the requirements of their partners and the needs of their employees, regardless of where they may be located. Quick and easy access to information throughout the enterprise, with the best analytical value possible, is critical to good decision making. With DataSense Solutions, that's what Business Intelligence (BI) is all about. Unlocking the power and value of information. The first tier of any robust Business Intelligence environment is a solid database foundation. Huge degrees of efficiency can be derived from the consolidation and normalization of enterprise data collected from sometimes discreet and inconsistent OLTP sources. From this base, Data Marts are often developed to provide more focused data repositories for superior analytical performance. Enterprise reporting systems empower a business by providing a common interface to its data. The strength of any reporting system is based on its ability to leverage multiple data sources, its strength in manipulating data to create meaningful presentations and ultimately its ability provide this information to those who need it in a dynamic and easy to use way. The ultimate result of a well designed Enterprise Reporting environment is the framework for a better decision making process. Competitive organization are always looking for ways to extend the value they derive from their business intelligence investments. This is most effectively realized by integrating analytic capabilities for KPI's, scorecards and dashboards into their existing BI framework. Analytic environments combine both high level presentations for key decision makers and custom drill paths which provide navigation down through the detail which supports them. 'Analytic Applications' both extend an enterprise reporting infrastructure and leverage it to its fullest potential. 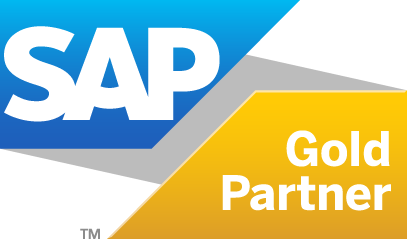 Hosted Virtual SAP Training Classes with DataSense Solutions! DataSense announces partnership with Delphix, the leader in on-demand database replication and data masking solutions. READ MORE ABOUT IT HERE. Improve your Business Performance. Request a FREE On-Site Session! CIO Review Selects DataSense Solutions for '100 Most Promising SAP Solution Providers 2015'. Read the article in the special April issue of CIO Review, focusing on SAP Technologies. Enter your contact info to receive News & Information about DataSense and Business Objects.